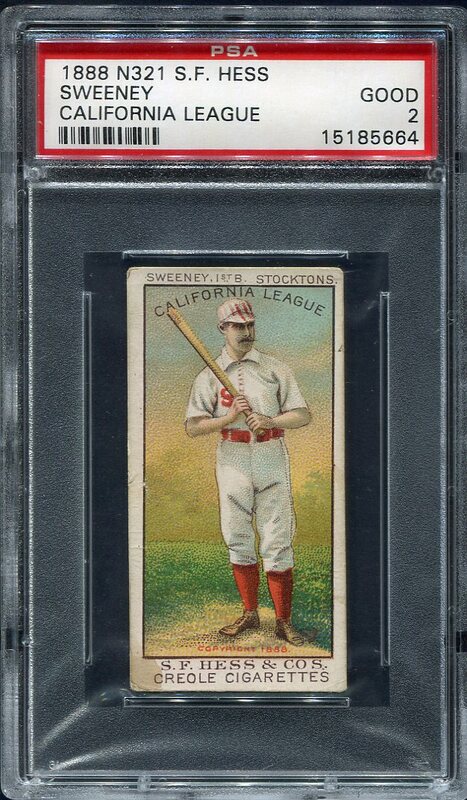 Very scarce 1888 California League S. F. Hess card of Sweeney, 1st B. Stocktons. PSA 2, the only Sweeney graded by PSA, with only one showing in the SGC pop report as well. Very nice for the assigned grade, only a few light edge wrinkles, with great color, centering, registration and a clean problem free back. 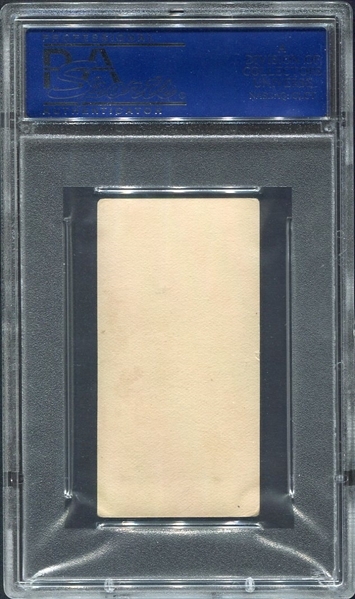 An ideal type card or a very important addition for someone doing the set.